Marketing research and studies conducted all indicate that the leading factor that drives most of one’s business is word of mouth between loved ones and peer recommendations. Your previous client list can become your greatest marketing tool; A study conducted by The Wedding Report showed that over 61% of couples have found their wedding photographer through recommendations made by friends or family. So how can you get them talking about you? One of the best ways to get others to recommend you is through your photographs; but how can you make your photos visible year round to all different audiences? One unique and effective solution is to market your photography skills by using calendars. As the saying goes, “a picture is worth a thousand words.” So imagine how many words 12 pictures can express? Most photographers spend hours explaining their skills to their audiences and why they provide better services over competitors; this still does not produce the same effect as it would by showing them. Calendars are one of the utmost effective ways of showing off your photographic talents. By compiling some of your best works and spreading them out over each month, your services become a frequent topic of discussion year round. 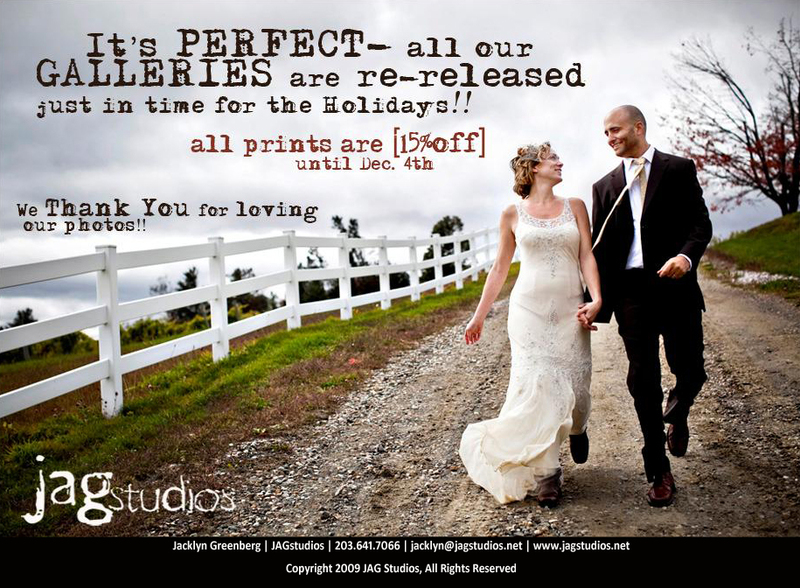 One of the best ways to have your previous clients become a recruiting tool is to provide your previous customers with a complimentary calendar of some their best and most memorable images from their wedding. This “Thank You“ calendar would most likely be hung in the couple’s kitchen or office where their families and peers would also get the opportunity to view it. Often times if your clients are around the average marrying age, they’ll have family or friends that are planning on getting married soon as well. Having your studio name and website, phone number and even twitter handle at the bottom of each calendar image can greatly increase your clientele; it allows previous clients to easily recollect your photography skills and also recommend your services to friends and family. DigiLabs offers 18 x 12 top bounded calendars; perfect for portrait images as they are long, large and eye-catching. DigiLabsPro software enables you to create highly customized calendars and place your logo and any other details related to your photography business. This entry was posted in Promote your Studio on DigiLabs Pro and tagged business, Calendars, promote your business, wedding photos on August 19, 2013 by digilabsprowp. Professional photographers: Get seen by more people in the community! DigiLabs Pro is looking for portrait shots to feature on the homepage of our website. Here is your opportunity to share your work with the community of photographers who visit our website daily. Portrait shots – family shots, baby and children shots, pet shots, holiday themes … We’re looking for something to get us ready for the holiday portrait season. The shots need to fit our main homepage image area. This area is 979×344 so landscape images have really been the best fit historically. Consider our “Stay Connected” section within the image. This area will cover 322×344 on the right hand side of your image. We will promote you within our social networks increasing your online visibility. A $50 DigiLabs Pro gift certificate to use towards any of our products. Go to our Facebook fan page at www.facebook.com/digilabspro and post your portrait shot on our wall. If you don’t have a Facebook account, you can also email it to us at stephanie (at) digilabspro.com. All entries need to be submitted by Friday, September 24th, 2010. This entry was posted in Promote your Studio on DigiLabs Pro and tagged Digilabs, professional photography on September 14, 2010 by DigiLabs Pro Blogger. In June we celebrated the first anniversary of our blog (read our first epic post). We’ve come a long way and have seen our little blog grow into something amazing… Our posts aren’t just read by our customers but are being shared through social networks and published in some of the leading industry publications. Our hope for the next year is to continue to bring you the most up to date information about DigiLabs Pro, business tips/ideas and industry news. We want to share ways to help you become more efficient in your workflow and learn something new for your business. We’ve got some of the most talented and successful studios working with us, and we want to share your success with our readers. That’s right, we wanna hear from YOU! DigiLabs Pro is looking for guest bloggers who are passionate about photography and have something to share about this amazing industry (i.e. what makes your business successful or something new you have learned). Oh, and you don’t need to be selling out workshops to contribute – we are looking for all types of photographers! If you’re interested in being a guest blogger and/or becoming internet famous email me at kate@digilabspro.com with your contact information and what you’d like to talk about in your blog post. We can’t wait to hear your ideas! This entry was posted in Promote your Studio on DigiLabs Pro and tagged Digilabs, guest bloggers, photography blogging, professional photography on September 2, 2010 by DigiLabs Pro Blogger. Many people want to hire “high end” photographers as they are seen as experts in the industry. These photographers are the people that other photographers turn to when they have questions. Basically they are experts, not only to their clients, but to their peers as well. There are even quite a few folks out there making great money becoming their ‘brand’ and hardly ever have time to do photography anymore. Everybody has a bit of expertise in a certain area. What if you have expertise in a certain area and you want to share it with the world and help grow your business? How can you become an expert in the industry? When we see the popular bloggers, speakers and other icons out there in professional photography it makes you wonder, how did they build this brand? Know what you are talking about: Great, you have a topic you have a lot of expertise on, but make sure you keep your eyes and ears open for new ideas, thoughts, etc on the topic. I have seen many people I worked with become “experts” in certain areas of online marketing, that have since become obsolete. Keep your skills fresh and be on top of any new developments. Start writing: Start writing a blog or articles for your website about your topic of interest. Not only does this help you grow your content, give you something to share with people interested in learning more, but this also helps your organic search (SEO) rankings on this topic. Don’t forget to add your personality to the blog. Stay connected: Using the social networking tools of your business (Facebook, Twitter, My Space, etc), share articles on the topic, post things you learned and show samples. Basically share your knowledge with those interested in you and your brand. The best blogs and posts I have seen infuse a lot of personality into them. Get out there and show people who you are and gain some personality. Want to see some great examples? Take a look at Ben Chrisman’s Blog and Jasmine Stars Blog and become her fan (or should I say “like” her now…) on Facebook. They do a great job showcasing their great skills while doing it in a fun and inspiring way. If you do this, you will see that over time your contact list and interactions will grow. Join online communities: Join online pro communities and interact with people, post and LEARN. Many people online just want to share but very few actually really “listen” (read) to what others are saying. Look at what others are saying and post on things relevant to your topic. Make sure you are pleasant and do not attack or put anybody down. If you want to be seen as an expert, your main marketing message is around what you know. In the end, how you treat people can hurt your brand. Network in person: Get out there and join local organizations, national organizations, tradeshows and workshops. Not only will you gain valuable connections, stay informed and learn a lot, but you can also become a resource for others. Have a great presentation: Nothing is worse than hearing a speaker that has great content but their delivery is dull. Don’t even get me started on those with a presentation full of spelling errors and inconsistencies. Make sure you look at your presentation in detail, check for spelling errors, inconsistencies and errors. I worked in marketing sales support at one of my first jobs and I did all of the presentations. One person in particular was very picky (probably because he wasn’t doing the work…). Everything had to be perfect and I am now obsessed presentations and spotting errors. What it taught me is an intense attention to detail. Make sure you do the same, as you may have someone as picky as me watching your presentation… and you don’t want me distracted by your errors. Speech….Speech: I personally don’t really enjoy public speaking but once I am out there doing it regularly, it becomes second nature. Try speaking at a few local organizations about a specific topic and gradually grow your presentation and speaking skills to larger opportunities. Hopefully you found some inspirational ideas to help grow your brand and expertise. Follow some of these simple steps and it can help you gain knowledge, get connected and grow your brand in your area of expertise. Have more ideas or questions? Make sure to post in the comments section below. This entry was posted in Promote your Studio on DigiLabs Pro and tagged blogging, photography brand, social-media on August 18, 2010 by DigiLabs Pro Blogger. This entry was posted in Promote your Studio on DigiLabs Pro and tagged email, Jag Studios, professional photography on November 10, 2009 by DigiLabs Pro Blogger.